Is it perhaps a bit odious or uncharitable to rank the AFL’s 18 senior coaches by the odds of them being sacked in any given year? Maybe – but that’s the industry we’re in. Look at it this way: I did this for the first time last year, and last year no coaches were sacked at all. I wouldn’t be surprised if it’s the same in 2019! Maybe it’s a good luck charm. Turnabout is fair play – I’ll happily publish an AFL coach’s rankings of Roar AFL writers by sackability (with me at the top, of course) if anyone’s keen for some role reversal. Happy to swap paycheques too, just quietly. Anyway – let’s get started. 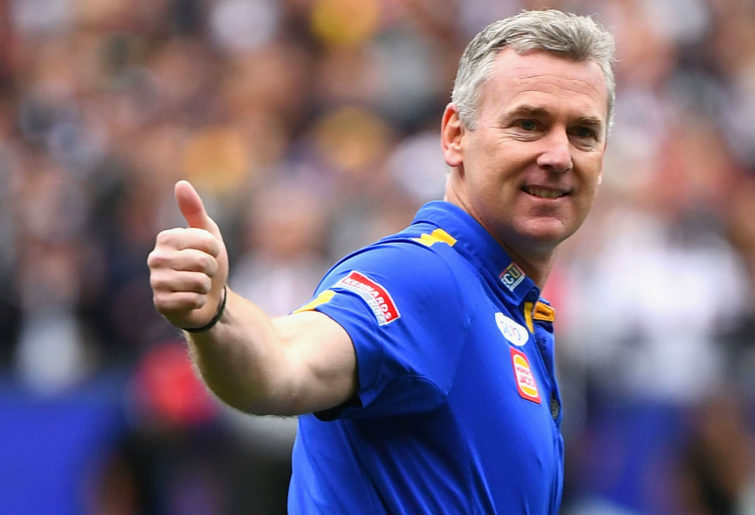 Obviously, West Coast’s premiership victory last year does a lot to deliver Simpson the title of most secure coach in the league, but the 2018 season also showed his ability to shape the team in his own image and that 2015 was no fluke. Although the club and its fans will likely always think of 2018 as the one that got away, backing up a breakthrough premiership in 2017 by finishing top of the ladder last year was more than enough to maintain Hardwick’s excellent job security. The Hawks’ decision late last year to lock in Clarkson another four years suggest there’s no chance of familiarity breeding contempt here. Sam Mitchell’s return to the club as an assistant coach may well prove the basis of a succession plan. My No.1 most under-pressure coach at the start of the 2018 season, the transformation of Buckley and Collingwood last year was something to behold. Despite mounting injury problems, the Pies came within a kick of the premiership – Buckley now has plenty of credit. Believe it or not, Goodwin is the only coach in the AFL set to enter the season without a contract beyond 2019 – expect that to change soon. A new deal has reportedly been in the works for months, which is no surprise after he broke the club’s long-standing finals drought last year. If we took the contract equation out of it then I’d probably have Chris Scott closer to the pointy end of this list, but Geelong’s decision to give him a three-year extension in August shows that whatever problems they feel prevented them making the most out of season 2018, they don’t count him among them. Was it the right call? Certainly Scott has his critics, and the Cats’ record in finals matches since his first-year premiership in 2011 doesn’t make for pretty reading. On the other hand, from eight seasons in charge, he’s delivered seven finals appearances and a flag – most clubs would take that without thinking. Only 40 per cent of Geelong fans approved of Scott as measured in September last year, the third-worst rating of any coach. Evidently the club feels differently, and that is what counts. The Suns were tipped by many for the wooden spoon last year but a hot start, which saw Gold Coast win both of their preseason matches and then their first two matches of the season (against North Melbourne and Carlton), provided enough juice for them to stay just one rung off the bottom. Dew is still in the process of shaping this team, and there are so many barriers to success at the club which need to be worked around or broken through that you can expect him to be given the benefit of the doubt for some time yet to come. The Suns could probably go 0-22 this year without him being at any risk. Longmire is in virtually the same scenario as Chris Scott at Geelong, lower than him on this list only because Scott has an extra two years of contract security, which would make sacking him exceedingly difficult financially. He has coached the Swans for eight years now and delivered eight consecutive finals campaigns and a premiership in 2012. Should he have won at least one more? Probably – but, again like Scott, no team is going to say no to a track record like his. It’d be interesting to see what the footy world thinks of Luke Beveridge if we were to mentally snip September 2016 out of everyone’s memory banks, as outside of that his career trajectory has largely followed the pattern of a new coach having an early impact on the club’s performance before it regresses back to the level it was at before they arrived. Is he a bit of an oddball? Does his approach often baffle us? Are the dogs a bit disappointing for a side that won the flag two season ago? Yes, yes and yes, but none of this will put his job in jeopardy. As I wrote last year, the Dogs were arguably 2018’s best performers if you scale it by the age and experience of the side they put on the park each week. Beveridge deserves, and will get, the chance to develop this group into maturity, and they could be a powerhouse when they get there. Cameron could be compared to both Chris Scott and John Longmire as a coach who has consistently delivered a certain reliable amount of success over the past few years, but without ultimately reaching the level that it’s widely believed his team is capable of. Is that his fault? Hard to say, but the Giants have been happy to back him in at every stage so far and that seems unlikely to change. GWS lost some players at the end of last year but none were irreplaceable, and if the rule changes have an impact on his gamestyle it’s likely to be a positive one. It’d be hard to fault Chris Fagan’s first two season at the Brisbane Lions, which have seen the club transform itself from being something of a basketcase on the field to one of the most promising and exciting young outfits in the competition. Of course with excitement comes expectation, and although this side only delivered five wins last year, there’s at least a low hum of chatter than finals could be within their reach in 2019 – a goal which while not unobtainable, is probably a long way from being realistic. One would expect that Fagan has at least another two years in the job before there’s any risk of expectation catching up with him. Pyke could rightly have felt pretty secure at the end of 2017 – although they failed at the final hurdle, his side were the minor premiers and appeared in the grand final, something the club hadn’t done in nearly two decades prior to that point. 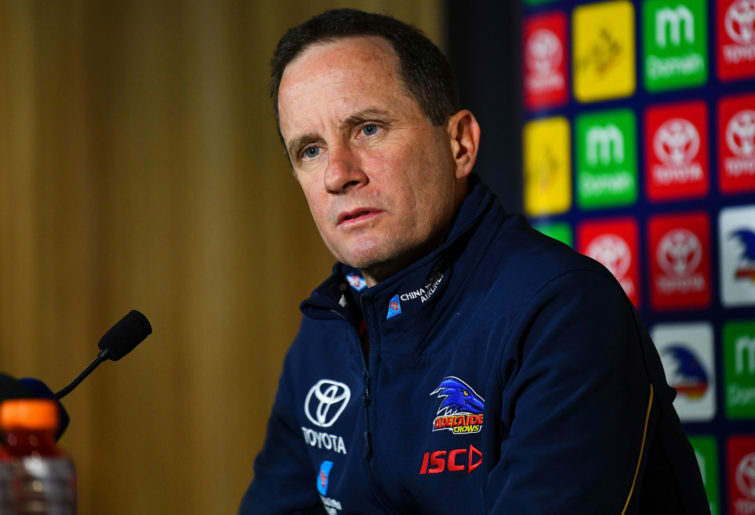 Adelaide’s grand final failure appeared to prompt something of an overthink which, combined with a disastrous run of soft tissue injuries, made 2018 about as bad as it could possibly be for the Crows. There is building expectation that the Crows have talent enough still on their list to shoot back up into contender status, and a flawless preseason campaign will only increase the optimism of fans. I’ll admit that I’m among the optimists when it comes to this club, but it’d be interesting to see just how tense things get if 2019 doesn’t deliver. If the Lions and the Crows are starting to hear a low rumble of fan expectation, then Essendon should be practically deafened by it. Rightly or wrongly, last year’s audacious acquisition of Dylan Shiel has turned them into the hype team of 2019 and that will bring with it a huge amount of scrutiny. The Bombers couldn’t back up 2017 with another finals appearance last year despite signing three quality mature players from other clubs, and currently hold the longest drought of any side in the league since their last finals win. It’s been a long time between meals and fans are understandably hungry. Worsfold is locked in for another three seasons, which makes it hard to see Essendon swinging the axe, but he will be running out of rope in 2020 if he doesn’t deliver this year. 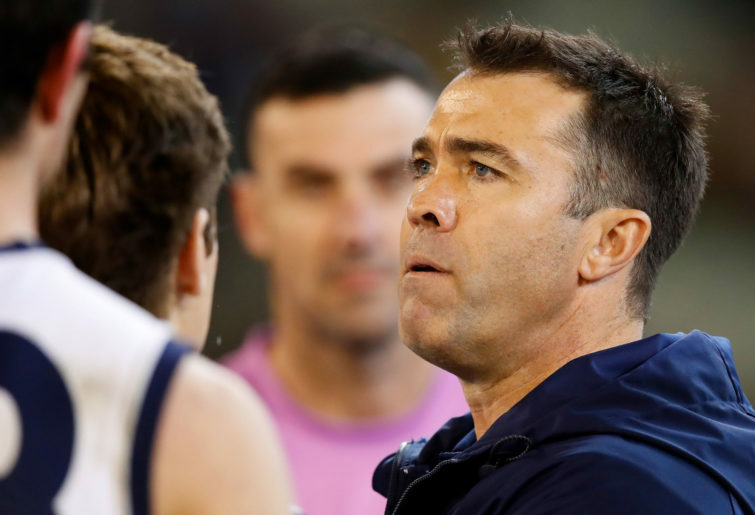 Fans were sceptical of the wisdom of giving Brad Scott a two-year contract extension at the end of a four-win season in 2017, but North’s quality performances last year – which saw them fall just narrowly short of making finals – ultimately justified the decision. Scott has lacked dynamic running players to put in his midfield for a long time, but the addition of Jared Polec, in particular, but also Aaron Hall and Bailey Scott gives him options here. Fans will expect it to lead to improved performance. 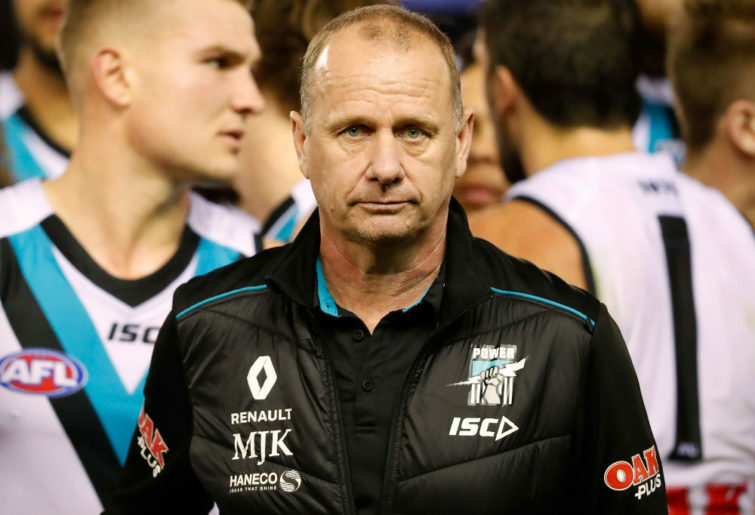 Port’s bizarre flip-flopping list-management strategy that seems to have them alter between topping up and rebuilding from one year to the next has made Hinkley’s job a tough assignment over the years, and 2019 is shaping up to be no different. After doubling down and signing three mature players at the end of 2017, Port went radically in the other direction last year by trading out established stars Jared Polec and Chad Wingard and instead taking three first-round picks to the draft. Given that, what is a reasonable expectation to place on the Power this year? Probably to go backwards from last year’s tenth-placed finish, but the fan-base and the club president may feel differently. Just 41 per cent of fans gave Hinkley the thumbs up at the end of last year. Brendon Bolton’s honeymoon started to get a little stale at Carlton last year when after probably delivering above expectations in 2016 and 2017, the side only managed to notch two wins – their worst performance across a season in more than a century of history, and fifth wooden spoon since the turn of the millennium. Realistically, given the playing stock he’s had to work with across his tenure so far, to have only copped one wooden spoon is actually pretty impressive. Most pundits would still say the Blues appear to be a team that is well-coached but lack talent, maturity and continuity. Fans tend to have the patience of a mountain, but can the same be said of those playing more an executive-level role at Carlton? Their record of hiring and firing coaches over the last decade or so doesn’t suggest so. While the AFL is trending towards being more patient with senior coaches, we can’t say for sure whether or not this something Carlton’s powerbrokers have bought into. Despite what they may say, the Blues’ decision to trade away their 2019 first-round pick will increase scrutiny on the club’s performance, and wipe away any silver-lining that could come from disappointing results. That is inescapable. On a rational level, Brendon Bolton doesn’t deserve to be in any danger. Let’s wait and see if rational thinking remains the order of the day. 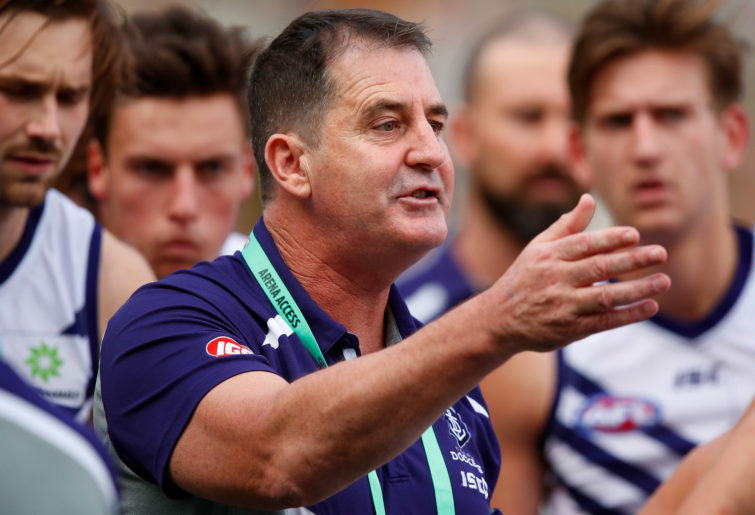 I talked a great deal already in January about Ross Lyon, Fremantle, and what expectations could reasonably be placed on the club for 2019, so I’ll be endeavouring not to repeat myself at length here. You can click that link if you want deeper analysis. On one hand, having spent three years anchored close to the bottom of the ladder, fans’ patience is starting to grow thin, and reasonably so. Lyon’s 37 per cent approval rating in September last year was the second lowest of any coach in the league. Expectations of improvement in 2019 would have been further ramped up by the Dockers’ daring acquisitions of Jesse Hogan and Rory Lobb. Supporters doing what they do, they will expect much improvement to come from the integration of these new additions, but may not have factored in to the same degree the potential for hiccups to arise from the departure of Lachie Neale. The forwards still seemed to be a work in progress during Fremantle’s preseason campaign and their sans-Nat Fyfe midfield was comfortably outmuscled in both matches, albeit by the two sides who played in last year’s grand final. Personally, I’d be tipping the Dockers to finish around the same mark in 2019 as they have been for the past three years. Does Lyon surive if they do? There’s no two ways about it: Alan Richardson is the AFL’s most under-pressure coach in 2019. Richardson has been leading the Saints for five season now – 2019 will be his sixth – and his record of 37 wins from 111 matches is the third-worst winning percentage of anyone in the history of the VFL/AFL to have coached a side for at least 100 hundred games. He took the Saints within striking distance of finals in 2016 and still reasonably close again in 2017, but last year’s campaign – his first without champion veterans Nick Riewoldt and Leigh Montagna in the side – was not so much as step backwards as it was a reasonably energetic jog in the wrong direction. Richardson’s pressure-and-defence gameplan doesn’t feel like it has evolved in any significant way since he took over the job, and at times it has felt like his coaching style limits his players from displaying their natural talent. He received “blunt” feedback from skipper Jarryn Geary at the end of last year that he was liable to “focus too much on what we can’t do as opposed to what we can do”. Fans would also have been frustrated by Richardson’s at-times baffling selection decisions last year which saw such results as the eventually delisted Maverick Weller given more gametime at senior level (13 matches) than promising top-ten draft pick Nick Coffield (10). It ultimately comes as no surprise that Richardson came in dead last in the approval ratings when most recently measured in September last year, backed in by just 29 per cent of supporters. Remarkably, this represents an increase on the 17 per cent he had supporting him three months earlier in June. Were we talking about a situation like this ten or even five years ago, it would’ve been matter of course for Richardson to be sacked at the end of the end of last year. But clubs have seen the value of sticking by your coach over the last two seasons, and this – perhaps more than any other factor – appears to have saved Richardson’s neck. As was done with Damien Hardwick in 2016 at Richmond and Nathan Buckley in 2017 at Collingwood, St Kilda have set about transforming the team around Richardson in the hopes it will lead to a rapid revitalisation of on-field performances – and some of the names they’ve brought in are pretty impressive. Brett Ratten looks to be Richardson’s new right-hand man in the coaching box and arrives with the experience of having coached his own team and then being an assistant in three Hawthorn premierships under his belt. Expect him and Brendon Lade to make an impact. At a more administrative level, industry veteran Graeme Allan is now at the club and brings with him a wealth of knowledge and experience. And yes, Billy Slater is there too, though I’m yet to be convinced he’ll have value beyond the PR sideshow. Can St Kilda’s shakeup see them rise up the ladder and save Richardson’s job? Absolutely. The list is a long way from being the competition’s most talented, but there’s enough untapped potential here to at least flirt with finals if not make it all the way to them. But if not? Without at least some positive results, it’s hard to imagine Richardson still running the show in 12 months’ time.